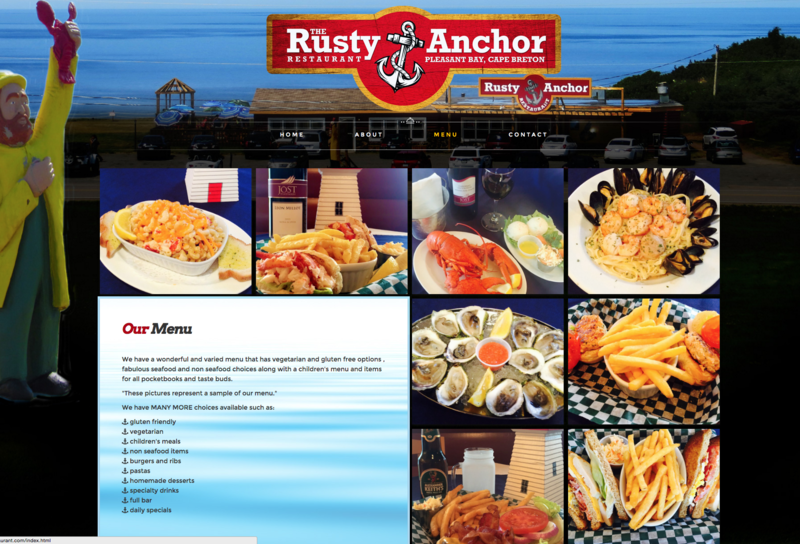 The Rusty Anchor Restaurant is located on the Cabot Trail in Pleasant Bay Nova Scotia. They had a tired dated website that was not really working for them. They came to Eastwood Design looking for a fresh new site that looked clean and fresh and represented thwir brand. Their new website is bright, simple and clean and is fully responsicve on all devices.